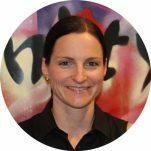 Shelley is Head of Legal and Company Secretary at LGIAsuper and specialises in Banking and Financial Services, Superannuation and Corporate Governance. She holds tertiary qualifications in law, justice, fitness and not-for-profit leadership and holds memberships with the Australian Institute of Company Directors and the Queensland Law Society. Shelley is passionate about young people and believes the work BYS does is invaluable to the community and helps to increase opportunities for young people to overcome homelessness and disadvantage.